One can find literally thousands of great and beautiful themes in a matter of minutes. On the other hand, the process of choosing the right one suitable for your business purpose is a tricky task. Indeed, it will take your time. As long as there are enough themes with all the bells and whistles included, make sure you really need them all. Once you know the answer what you want and what your audience needs, you are ready to choose a theme for your web project. Today we’d like to pique your interest to a top-notch WordPress theme for a new generation – Monstroid2 WordPress theme. The purpose of any website with a great design is to help your audience find the answers to their questions. For this reason, Monstroid2 (M2) combines a cutting-edge design and a whole host of useful features to help you create something you can be really proud of. M2 is a multipurpose solution which can serve as a great tool for your successful web presence online. Whether you need a business, blog, or eCommerce website, M2 is a surefire way to get started. So, what’s under the hood of the new Monstroid2 WordPress theme? To start with, Monstroid2 is licensed under GPL v3.0 which means freedom. As you may know, GPL is a popular software license, which ensures end users the freedom to run, share and modify the product that also runs on GPL terms. In short, once you get Monstroid2, you obtain a possibility to create as many websites as you want. Due to the fact that Monstroid2 will get more and more of new skins with the future updates, you gain access to all new skins and any other updates. So, grab Monstroid2 WordPress theme, get the ultimate freedom to use and modify the template to your advantage. It goes without saying, that Monstroid2 WordPress theme developed by the team of professionals ensures a simple and trouble-free installation process. An Installation Wizard included in the template lets you install it in a couple of clicks. In a word, the procedure is simple and may take up to 5 minutes to get completed. Decide which of the demo content versions to choose, whether the full or the light one. Powered by the latest Cherry Framework 5 version, Monstroid2 boasts intuitive and easy installation process as well as endless customization options. Most of the users who are beginners in web design and have a skill gap are afraid of the coding process. By chance, the cutting-edge templates come with extended features allowing you to create a website without having to know even a thing about coding. The same goes to Monstroid2 WordPress theme. A Power Page Builder included in the theme enables you to edit the layout with the simple drag-&-drop feature. This visual editor helps you make the editing process interesting and fun. You can choose between multiple styling option variations as well as insert an unlimited number of elements in the page. Actually, Monstroid2 WordPress theme comes with 10 niche-specific child themes suitable for the main business purposes. There are skins for a corporate page, financial advisor, a law firm, a fashion blog, restaurant, construction company, hotel, sports club, and a furniture store. It means you can create any web project you need without a headache making it from a scratch. Even with a skill gap you save a lot of time and focus on the content of your website. It is also important to mention that there will be more skins coming later on. You’d better grab Monstroid2 with 25+ skins in future instead of 10 or 25 websites. Prepacked with a stack of essential plugins, M2 gives you robust of options to make any changes with the layout of your website. 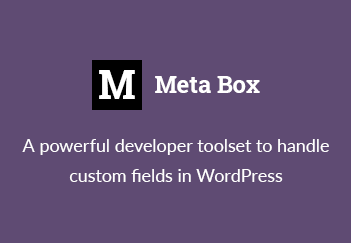 Find more than 20 plugins included in the theme and use them free as a part of the package. Check out some popular solutions such as BuddyPress, bbPress, WooCommerce, MotoPress menu, MotoPress schedule, Cherry social, Cherry Megamenu and much more. M2 comes with a WooCommerce integration which means you can run an online store in a matter of minutes. As a one of the most popular plugins for creating an online store, WooCommerce gives you a user-friendly functionality to help your website get ahead of the game. It helps increase the performance of your website much and with no sweat. Once you get M2, you receive a lifetime free 24/7 custom support in order to help you solve your problems. In addition, M2 is a well-documented template that comes with lots of tutorials and video guides included. Unless, you have no time or wish to do the editing work by yourself, feel free to contact a TM Service Center and get a full-fledged result within 24 hours. Sounds good, isn’t it? Give a try to Monstroid2 WordPress theme today and get one of the best support updates. Check out a Monstroid2 live demo version and find more extended features included in the package. Responsive and uncluttered design will help your website look and work smoothly on all modern digital devices and screen resolutions. A cross-browser compatibility ensures a seamless indexation by all popular serch engines, a huge library of 500+ Google Fonts helps you enhance the visual appearance of your website. With this in mind, we encourage you to say hello to Monstroid2 WordPress theme and learn more about this unique template. With the ever-increasing demand in professional templates, the more and more end users want to get the better “off-the-shelf” solution and build a website even with a skills gap. With Monstroid2 WordPress theme you can easily get your website live and create something you are really proud of.